These are the names choosen for these three SuperScout 2 platforms, built by Nomadic Technologies. 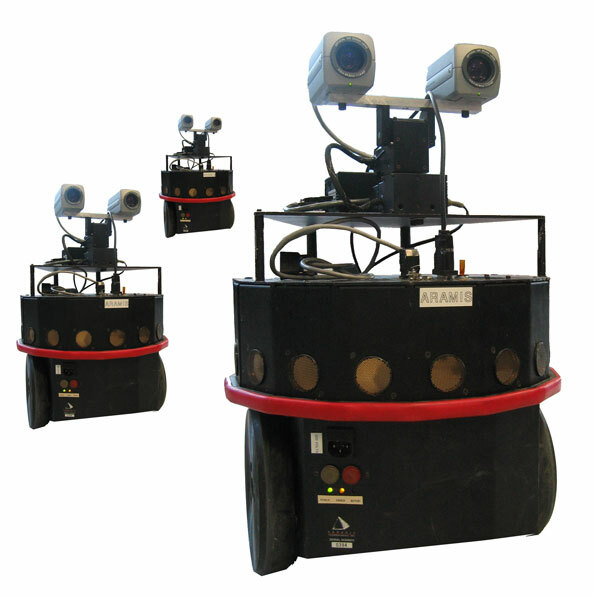 All the control architecture from LAAS has been ported to Linux and currently runs on the robots. They were bought by the AIP (Atelier Interuniversitaire de Productique), and are used at LAAS when not used by students at the AIP.